The 16-week Garden Ambassador Program will allow 3 ambassadors to build urban gardening skills, learn about urban agriculture careers, and get a $1,000 stipend to help maintain the Kelly Street Garden in the South Bronx. The Garden Ambassador Program (GAP) will provide opportunities for three “garden ambassadors” to build critical urban gardening skills, deepen knowledge of urban agriculture careers, and receive $1,000 to help maintain the 2,500-square-foot growing space over 16 weeks at the Kelly Street Garden. 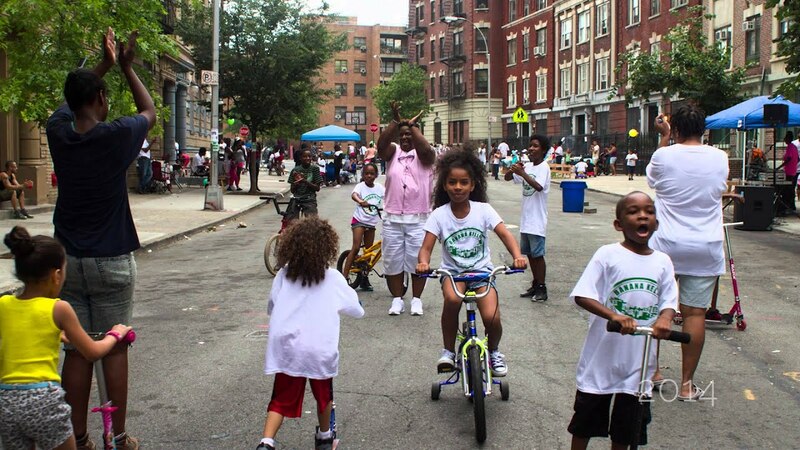 Kelly Street Garden has always been propelled by the desire to promote food and economic justice in the South Bronx. We’ve grown and distributed hundreds of pounds of produce to our neighbors—for free—through weekly summer Farm Stands, cooking workshops, and other events. We’ve done all of this mostly through volunteers and in spite of being in the poorest national congressional district and lowest-ranked county by health in New York State. With GAP, we'll elevate our work by providing skill-building opportunities for unemployed/underemployed neighbors, award stipends to finally acknowledge the value they create, and grow more fresh produce. Ambassadors will work 4 hours per week May 15 – August 25, 2017 alongside the Garden Manager to strengthen several aspects of garden management, from planting to measuring outcomes. We will develop performance goals with Ambassadors and hold ourselves accountable to realizing them through weekly task lists, supervision, and a written and verbal feedback. We also hope to raise enough to take Ambassadors on three field trips to learn about other organizations and jobs that help improve the NYC food landscape (e.g. urban gardeners and educators, healthy food retailers, chefs). Finally, we’ll use surveys to measure GAP’s impacts, which we believe will include: strengthening Ambassadors’ incomes and arsenal of skills, and delivering a robust program they’d recommend to others to become better healthy food advocates. We’ll begin recruiting in early spring 2017 and select finalists by May 1. We will develop a standard application and criteria for judging applicants, with preference given to existing Garden Committee members, volunteers, and neighborhood residents. Selected Ambassadors will work 16 weeks from May 15 through August 25 (4 hours weekly) and will complete pre-and post-program surveys to evaluate the program and skills gained. Ambassadors will also do a mid-program check-in and receive a written evaluation from the Garden Manager during their last week. The Garden Manager and Ambassadors will jointly develop weekly task lists that help meet individual Ambassadors' goals as well as those of the garden overall, and will work hands-on with with each Ambassador to strengthen their gardening and garden-management skills, no matter their starting point. Through three field trips, Ambassadors will gain exposure to how other urban agriculture and fresh food organizations operate and learn about employment opportunities in the field. Although our neighborhood is known for being in the poorest congressional district in the country and the unhealthiest county in the state, we don’t accept that as our future. We’re excited about the Garden Ambassador Program for three reasons. First, it offers us the chance to promote food and economic justice at the same time. Our current work already puts more healthy meals in front of our neighbors and saves on grocery expenses (one community gardener saved over $300 in groceries last year by taking home our fresh produce). The Garden Ambassador Program’s $1,000 stipends will further address the vexing lack of economic opportunities in our neighborhood by providing a non-trivial income source. The program is structured as 4-hours-per-week commitment to allow for skills strengthening and healthy food advocacy work, without interfering with other income-generating opportunities that people may rely on. Second, we recognize that lasting change must come from local support and changes in behavior, and GAP helps us sustain more food justice advocates who can help build a local culture of healthy eating in their communities. Finally, we need more help in the garden to keep pace with demand for our free, fresh veggies, herbs, and fruits, and all of the behind-the-scenes work to make it happen! Garden Ambassadors will provide critical assistance to continue our core work so we can keep serving up health in the South Bronx. 1. Stipend, broken down as follows: $15.25 per hour x 4 hours per week per Garden Ambassador x 3 Garden Ambassadors x 16 weeks = $2,928. Stipends will be distributed to the Garden Ambassadors over the length of the program on a biweekly basis, and the effective hourly rate is based on a living wage for New York City ($15.25/hour), as it is our mission to promote economic equity. - $200 extra for workshops/trainings (e.g. conferences and gardening workshops to build skills/knowledge). Kelly Street Garden, South Bronx from ioby on Vimeo. Thank you! We've passed our goal!